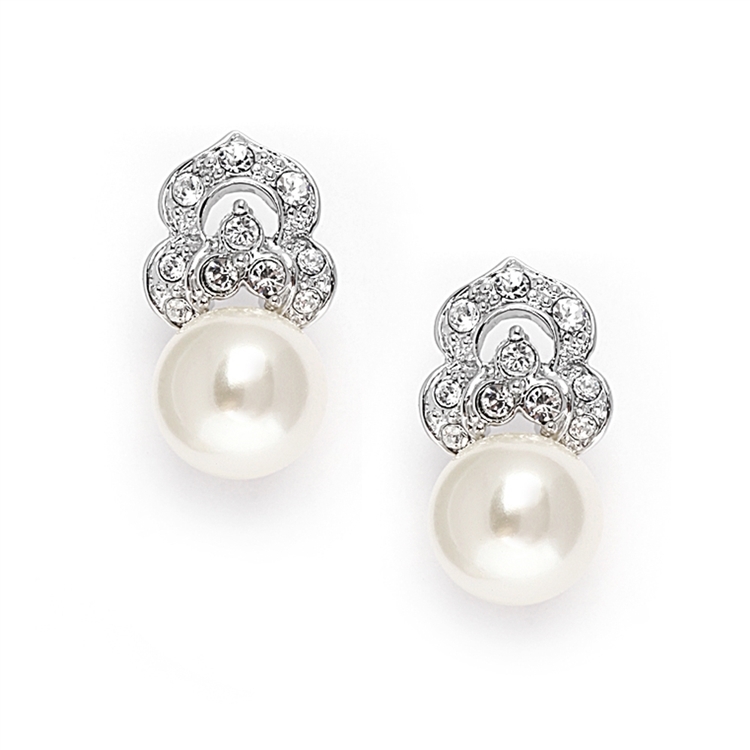 Mariell's designer 3/4" h Pearl & Cubic Zirconia Clip-On Wedding earrings are modern with a hint of vintage romance. 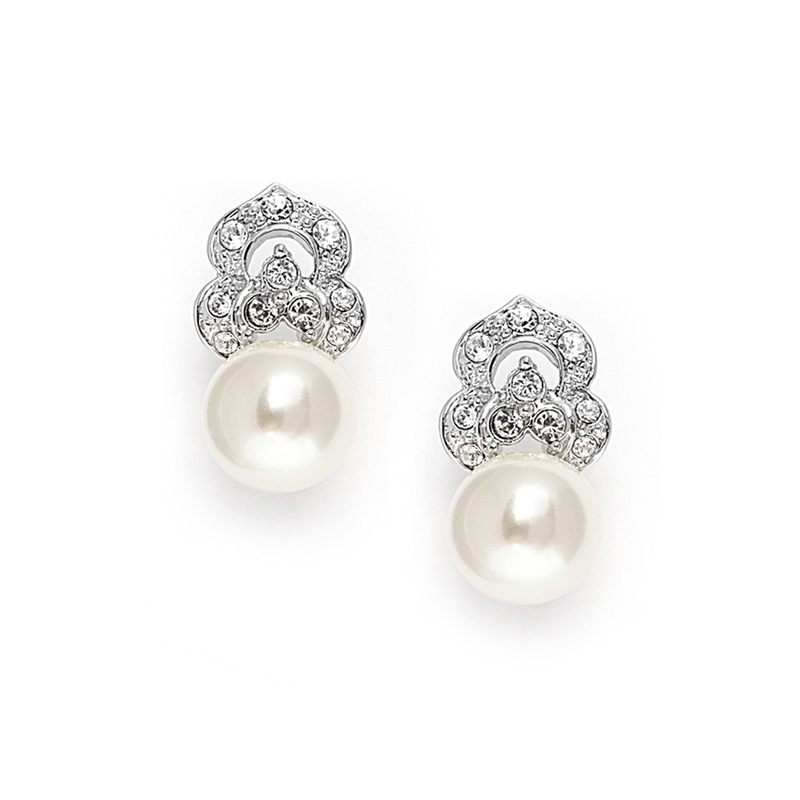 The silver rhodium earrings have 8mm soft cream pearls accented by pave CZ's. These earrings are also offered in clip on version (3827EC). Mariell's designer inspired soft cream pearl & Cubic Zirconia wedding or special occasion earrings are a beautiful understated accessory for brides, mothers of the bride or any formal affair. 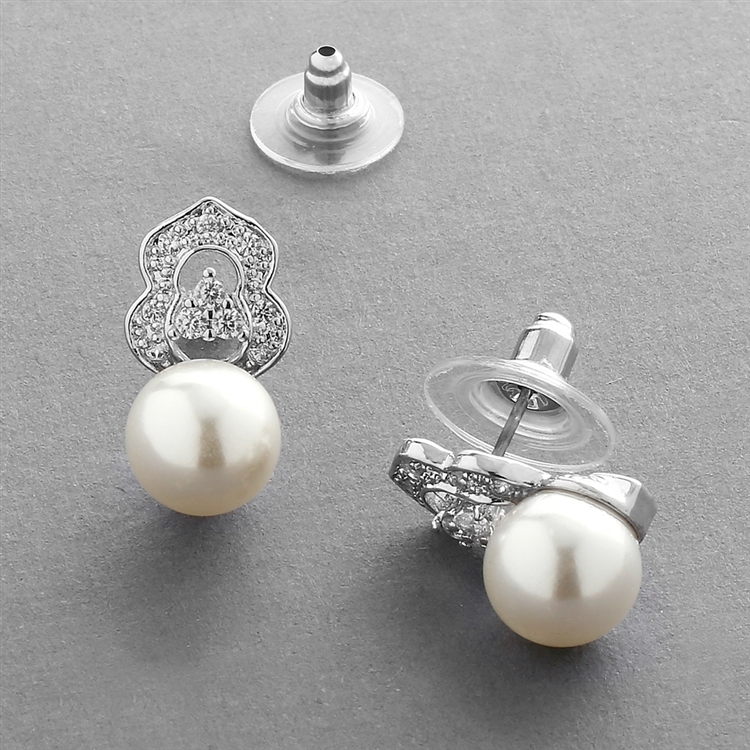 Our silver rhodium wholesale earrings have a bold pearl with a touch of antique CZ flair to match vintage or modern bridal gowns! With a coordinating necklace and clip-ond earrings (all sold separately), these bridal earrings will make a great addition to your store's jewelry collection as part of a versatile ensemble.